This recipe is also low carb, gluten free, grain free, and a Trim Healthy Mama S Fuel. The first time I ever had Cheesy Potato Casserole we were visiting friends in Florida, and I was probably about 13-14 years old. I remember my Mom asking the lady for her recipe, and it traveled back home with us, where my Mom put it into our own recipe collection. After that, the classic potato casserole dish was often a part of our Sunday afternoon Dinner tradition! And I did not complain one bit – it was absolutely delicious! However, white potatoes + cream of “something” soup + piles of cheese and sour cream created a problem. So, I had to look somewhere else to get the “potato feel.” White potatoes simply would not work. I remembered a LOOOOOONG time ago when I first began eating healthy, I had read that you could sometimes use daikon radish in place of potatoes. I wasn’t sure I had ever even seen a daikon radish, much less cooked with one! For those of you who feel the same way, you can see the photo below to see what a daikon radish looks like. They rather look like a long white carrot! Since it is a part of the radish family, it has a bit of a natural “zing” to it, but I have found that peeling the outer skin removes a lot of the “bite.” Also, boiling in salted water and rinsing seems to help as well! In the past I have used jicama to make low carb french fries, and while I think they taste amazing, they take 20 – 30 minutes of frying! (That can be a bit time consuming.) Maybe next I would like to try using a daikon radish and see how that works! 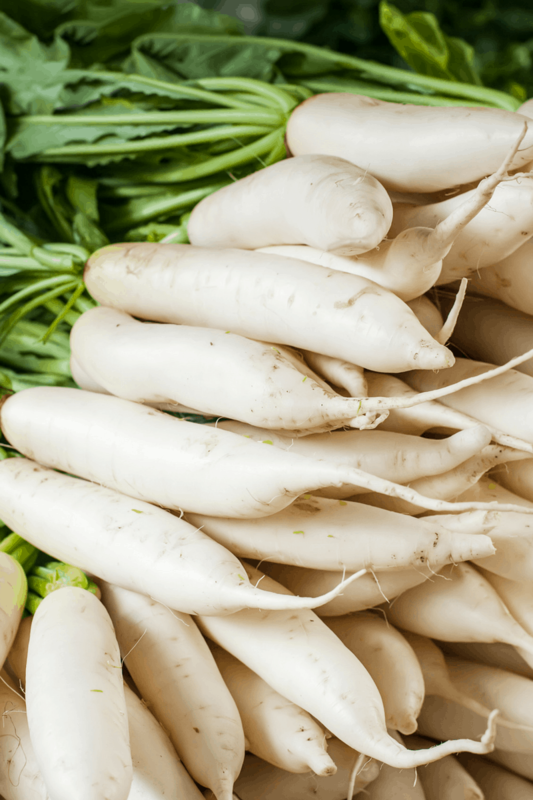 Now, you may be wondering where you can purchase daikon radishes? I bought mine at Cash and Carry – a pack of two for around $3.50. One large radish makes an 8×8 casserole dish, so the two radishes made two dishes for me. I think that is a very reasonable price. I do not believe that my local Walmart sells daikon, but I think other chain grocery stores probably would. Daikon radishes are very widely used in Japan – in fact, nearly ⅓ of Japan’s vegetables in weight come from the daikon radish! (See more radish facts and nutrition here!) I believe they are often pickled (now there’s an idea)! 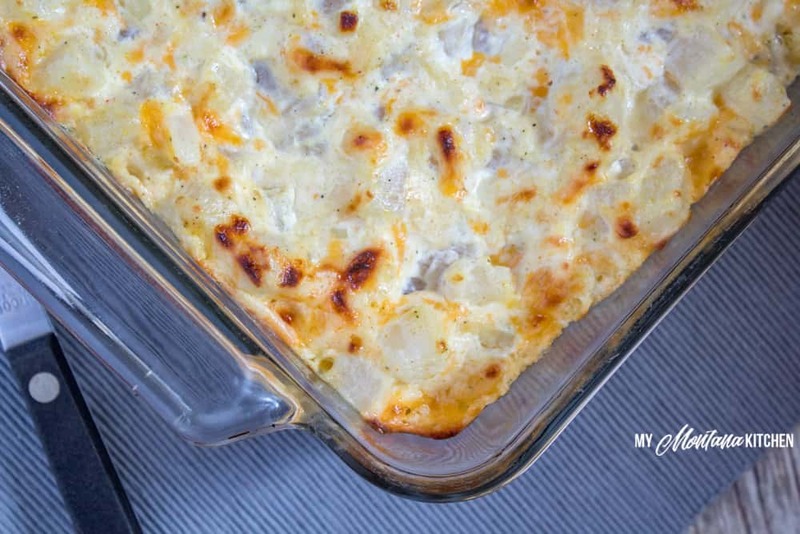 My husband and I both loved this Cheesy “Potato” Casserole. While it does not taste ‘exactly’ like potatoes, I think it is quite close! Definitely much closer than any cauliflower dish I have tried! 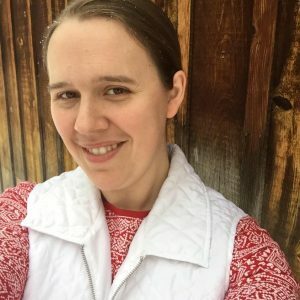 One of my blogging friends, Briana also has a mock potato casserole recipe, but her recipe uses turnips! You can see her Cheesy Party Potatoes recipe here! And if you need more ideas on how to use your new-found daikon radishes, check out the recipes below! 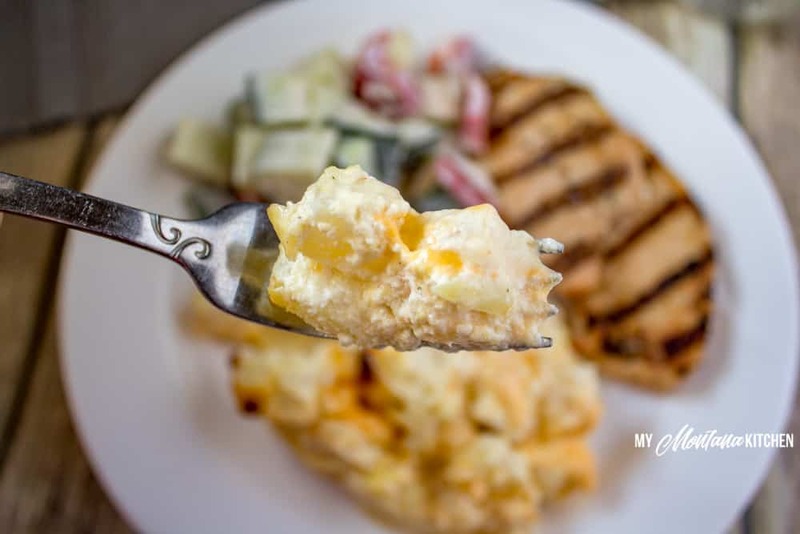 So, what do you need for this Cheesy Potato Casserole? Place peeled and dished radishes in a medium pot, and fill with enough salted water to cover the radishes. Boil for 25 - 30 minutes, or until radishes are easily pierced with a fork. Drain well, and rinse with cold water. Place drained radishes in a bowl, add remaining ingredients and mix well. Place into an 8x8 baking dish and bake for 30 minutes. Broil for another 1-3 minutes, watching carefully so as not to burn the top. It is very important that you peel the radish completely. The peeling has a “woody” texture. I used jicama successfully! I steamed chopped jicama in the instant pot for 35 minutes before adding to the other ingredients and baking. This side dish was a hit even with the “carb eaters”. The jicama still had a bit of a crunch to it (more than a potato would). I might try steaming it longer next time but nobody complained. Great recipe!! This looks creamy and delicious! 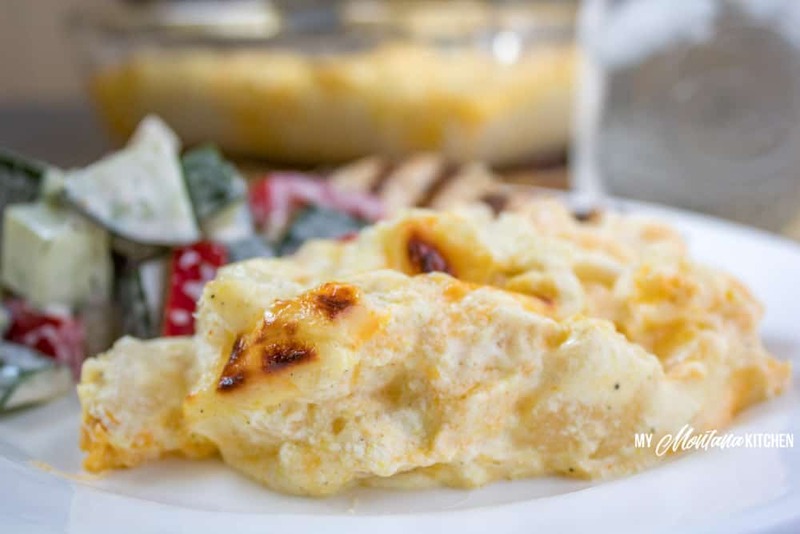 What a perfect substitute when I’m craving scalloped potatoes! I haven’t gotten to post about this amazing dish! So it is time consuming, BUT worth the time you put into it to have a potato consistency! Ohhhh my phone was suggesting salad after I typed potato… hummm I wonder if that would be as good as this?? MUST TRY!!!! Not tangy I’m my opinion!!! I had never heard of Daikon radisbes until reading your recipe. Much to my surprise I found them at a Kroger Marketplace two towns away from me (I live in a tiny community and we do not have really large grocery stores) which I frequent for special items. I was thrilled! I just popped the casserole in the oven. I took a sample bite pre-baking and was shocked at the similar taste and texture. Thank you for introducing me to a new veggie that won’t kill my lowcarb diet! I may even try using this for an aioli “potato” salad! Let me just say that this recipe was AMAZING!! Potatoes are one of the things I miss most when I switched to low carb eating and these seriously tasted just like potatoes. The only thing I changed to save time was I steamed the radishes in the instant pot for 10 minutes doing a quick release. Put some chicken broth in the instant pot instead of just water. Thank you so much for this recipe. I will probably be making it once a week from now on. Can I use regular radishes I peel them. Those are the only kind I can afford. Amazing! I am shocked how great they came out. My friends were dubious but loved them. Our whole family loves this dish… even potato lovers royale! !Thank you so much for this great recipe. It’s going on our Easter menu!